Ticket types/prices vary by venue and experience. What would you like to do during your visit? Coming with a group of 10 or more? We also offer Group Tickets! Experience interactive STEM-based exhibits geared towards children age 12 and under and their families. Expand your visit with a combo ticket and enjoy a documentary or second run film! Get a preview of what being a Member is like and check out Harsco Science Center during the last two hours of operation when the hustle and bustle of the day is winding down. Visit the Box Office to obtain Senior (age 55+) and Military discounts with proper ID. We love doing special things! Check out the events and programs taking place in the science center. Some events/programs require special admission. Movies are just better when you see them on a four story screen! Our digital cinema screens documentaries daily and offers special showings of second run films periodically. Visit the Showtimes page to see what's showing! 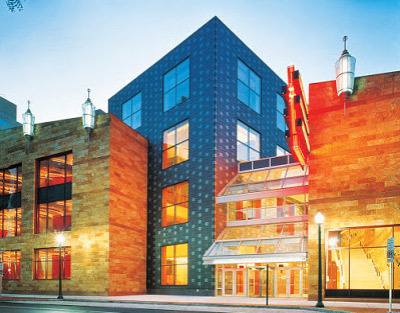 Whitaker Center Members Discounts apply! Central PA's most intimate theater where no seat is more than 65 feet from the stage. Shows are announced year-round so check back often! See current shows on sale on our Shows page! Please visit our Ticketing Policies page to view our full list of ticket policies for theater performances. We encourage you to purchase tickets on our website or by calling 717-214-ARTS. If ticket-buyers want the ultimate protection, then they should buy only from a primary agent. Ticketmaster is the only third-party ticket agent authorized by Whitaker Center to sell tickets to Whitaker Center events. If you buy from an unauthorized source you may be charged excessive markups or fees or the tickets may be counterfeit and unusable.